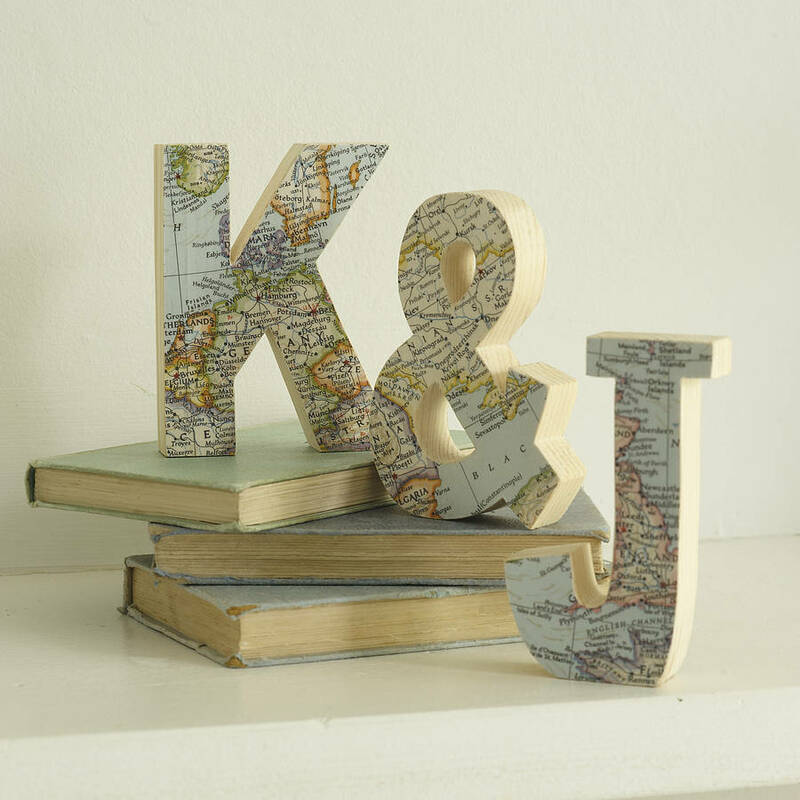 Choose three letters (please remember an '&' counts as one letter) then three map locations which have personal meaning and we'll find that map location for you from our vast library of vintage maps and atlases. 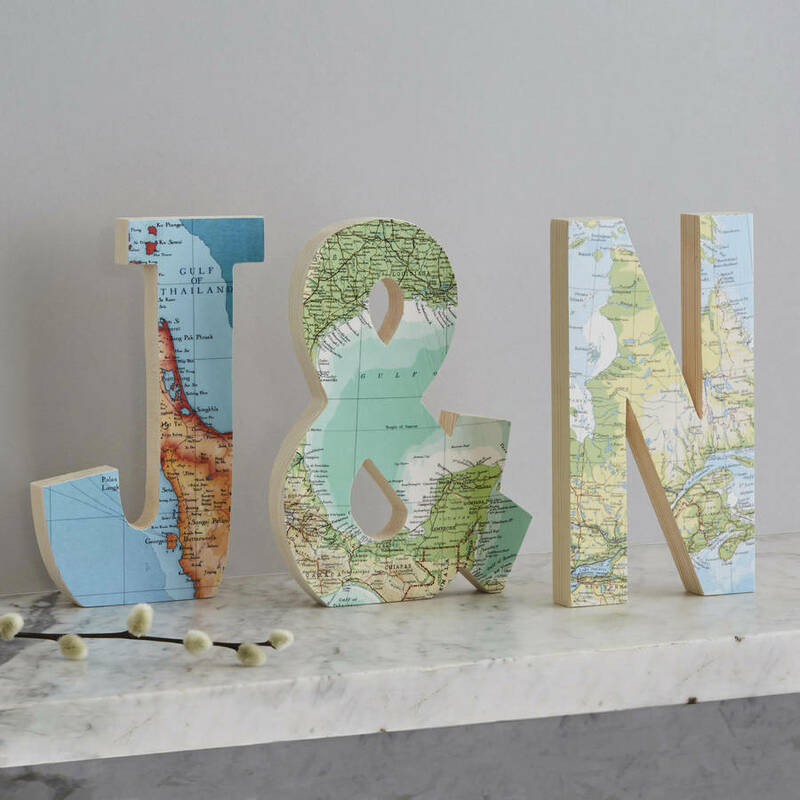 A popular choice is to use the first initial of each of their names and a map location of where they are from, with an '&' in the middle, showing where they now live. But that's only one idea! We have more than 15,000 maps of all across the world in our collection at any one time so we're bound to have the one you want. And if on the rare occasion that we don't already have it, we'll do our best to source it for you. You can choose one location to feature across all three letters or you can have a different location on each letter. 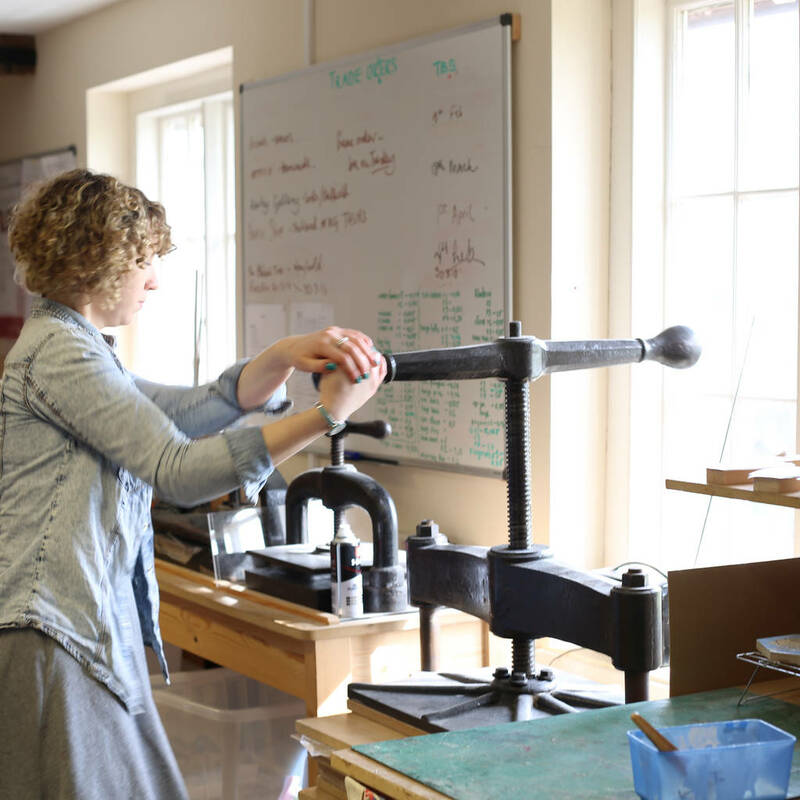 You can choose how you'd like us to send your letter to you - either by standard mail or using a trackable service (for a small additional cost). 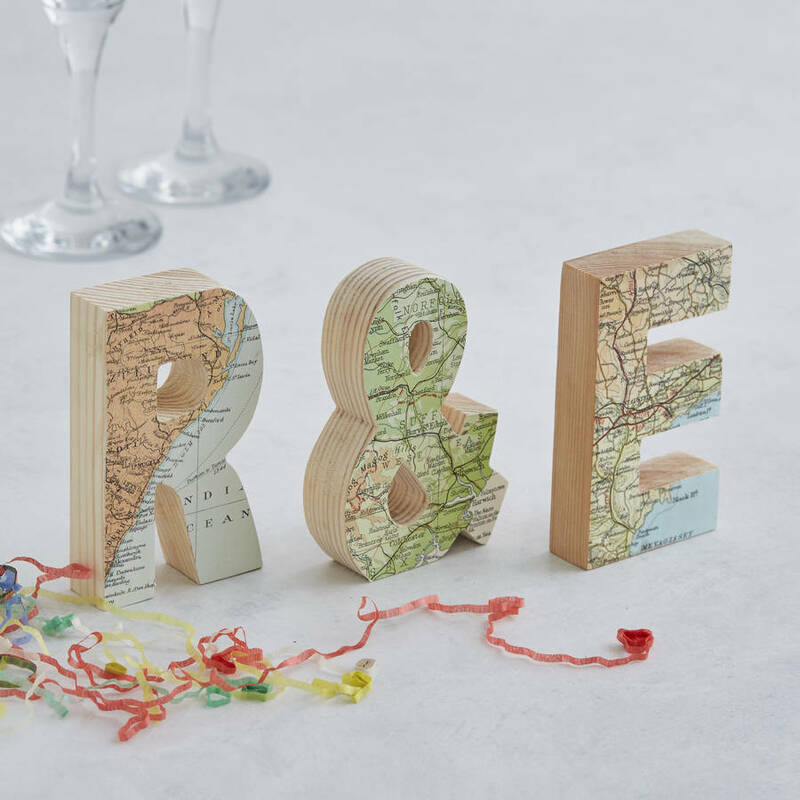 Choose to add an engraved wooden gift tag to your letters for extra personalisation. 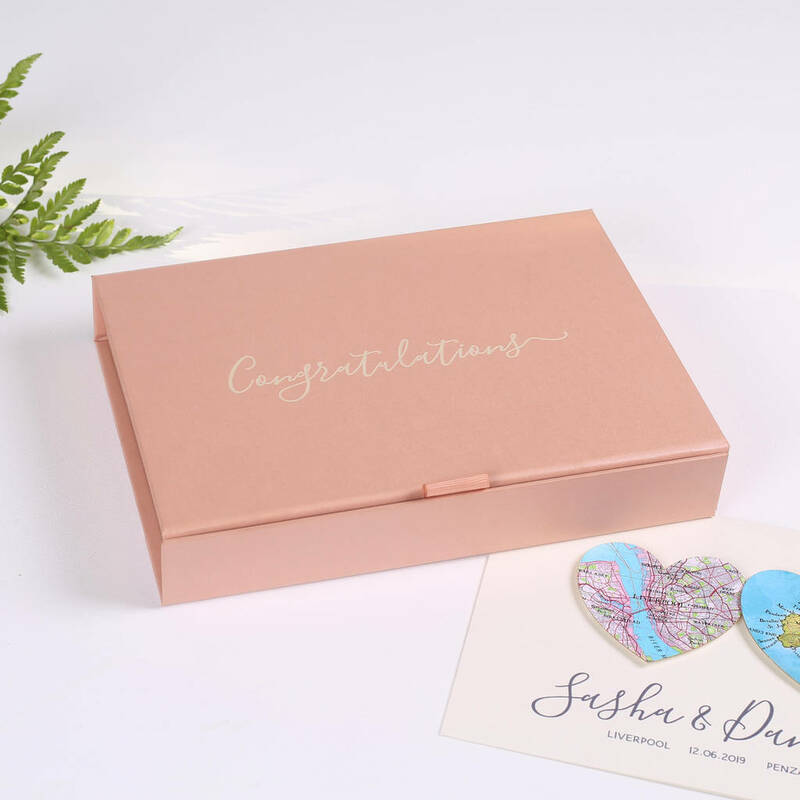 If you've ordered the small 10cm letters, you can add a luxury card gift box to your order, personalised with a message of your choice. Available in blush metallic pink or ivory. 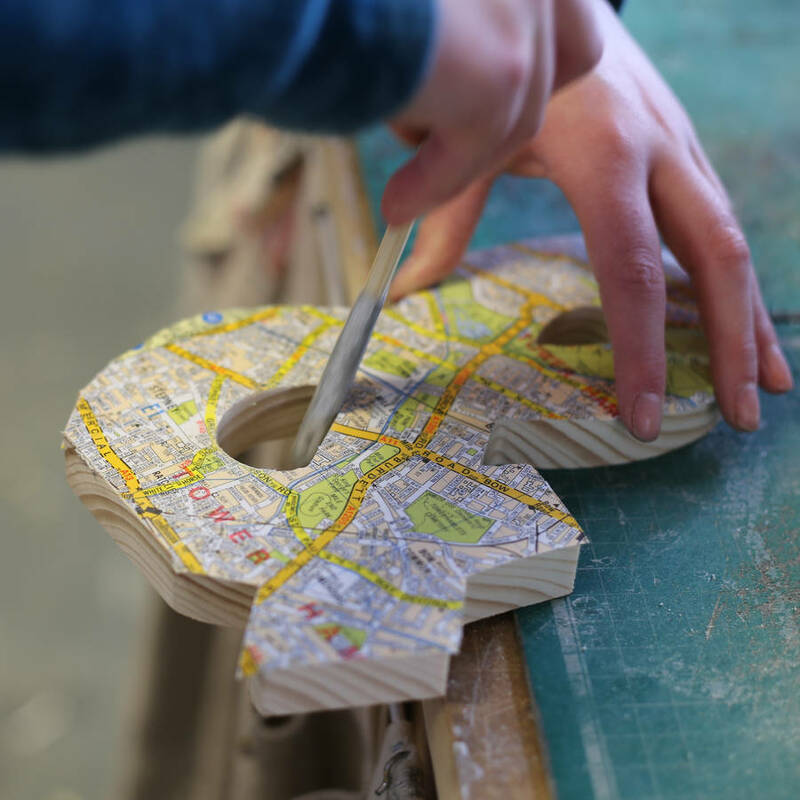 The maps are hand-cut from actual pieces of vintage maps (which means we are unable to zoom in or out, nor to provide proofs prior to purchase) and the base letters are crafted by hand from solid wood. 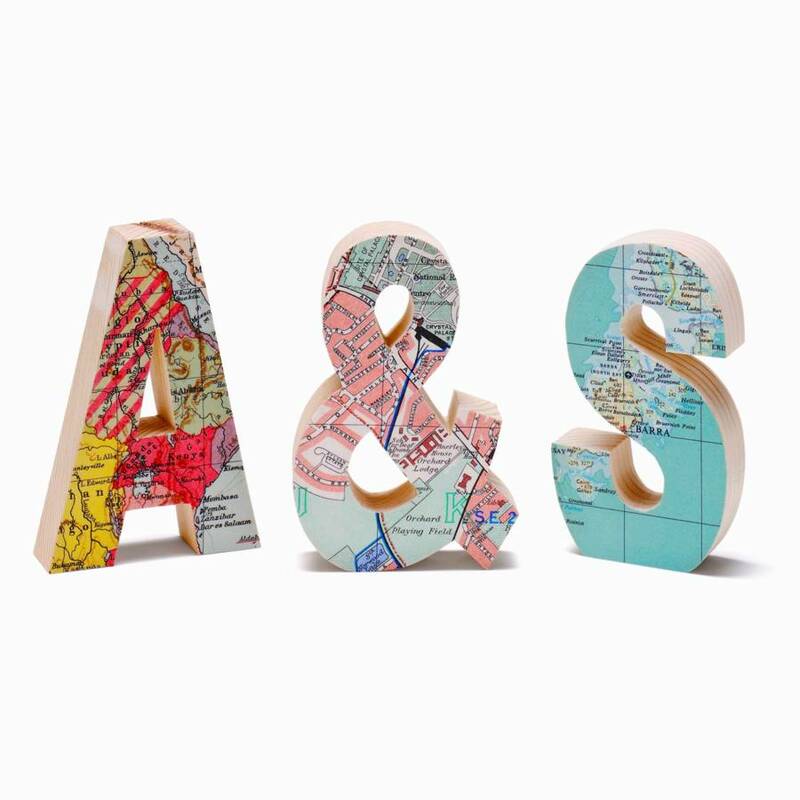 If you would like more than 3 letters just take a look at our Map Letter, our Comic Letters and our Stars & Constellations Letters.